Supported by 2,000 new employees and a US$ 1.1-billion investment, the all-new Ford Transit van rolls-off the line at Kansas City Assembly Plant, as Ford aims to strengthen its leadership in the commercial vehicle segment. van family will provide tradespeople and businesses with increased capability and innovative new configurations in the growing commercial vehicle market. 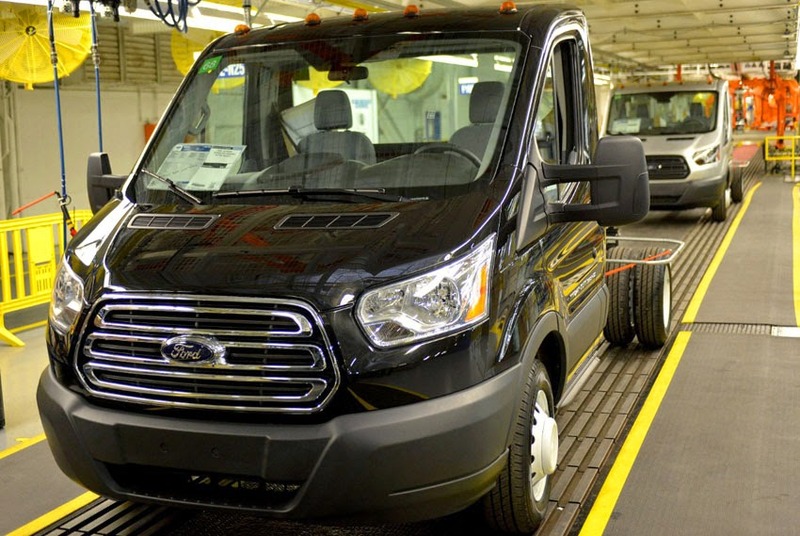 "Producing our Built Ford Tough Transit lineup in Kansas City is a big deal for the local community," said Joe Hinrichs, Ford President of The Americas. "Our investment in Kansas City Assembly Plant for Transit production is about delivering world-class commercial vans for a new generation of commercial customers - while building on our decades of leadership in the market and supporting new jobs throughout the region and across America." "Today represents much more than a next-generation vehicle rolling off an American assembly line for the first time, it represents another huge milestone for Missouri as we continue to lead the rebirth of the American auto industry," said Gov. Jay Nixon. "With the all-new Transit, Ford's historic investment in Missouri has brought another outstanding vehicle to consumers and thousands of good manufacturing jobs to our state. Today, the 'Made in Missouri brand is back and stronger than ever."